GST is a comprehensive tax levy on manufacture, sale and consumption of goods and services at a national level. Experts say that GST is likely to improve tax collections and boost India's economic development by breaking tax barriers between States and integrating India through a uniform tax rate.GST is a consumer based tax and not origin based. Under this structure of GST, the tax will be collected by the states where the goods or services actually consumed. In India, due to federal structure, there is a proposal to introduce dual GST system.The rate is expected to be in the range of 14 to 16%. Once the total GST is determined, the central and states have to agree on Central GST and State GST rates. According to Adi Godrej, chairman of the R15,000-crore Godrej Group, once the GST is implemented, the price reduction in the FMCG space could be around 4 to 5% across categories. As the prices of consumer goods fall, consumption would increase considerably. The introduction of GST will lead to an incremental GDP growth of 1.5 to 2 percentage points. Once GST is introduced, India will have 10% GDP growth for ten years in a row. 115th Constitutional Amendment Bill, 2011. Currently the Constitution of India does not provide concurrent powers of taxation to the Union and the States. The Bill proposes to amend the Constitution to empower the Union and States to frame laws for dual GST. More than 140 countries have introduced GST in some form. World over, GST rates are typically between 14 per cent and 16 per cent.In India, it is likely to be the same.Currenly cunsumers are paying around 20% as indirect tax in India. The tax-rate under the proposed GST would come down, but the number of assesses would increase by 5-6 times. Although rates would come down, tax collection would go up due to increased buoyancy. It will lower the tax rate by broadening the tax base and minimising exemptions. It will reduce distortions by completely switching to the destination principle. It will promote exports, employment and is expected to spur growth. 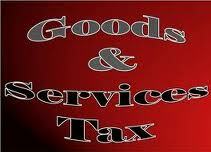 3 Aug, 2011 : Implementation of GST will boost India's growth: Assocham. The implementation of goods and services tax (GST) could boost the country's GDP by about 2 per cent annually, industry body Assocham said.Introduction of GST, which will subsume central and state taxes like excise, customs, service tax, sales tax and VAT, has been pending for years in the absence of political consensus. GST Constitution Amendment Bill is pending before Parliament.